Friendship Tails: Fashion for Paws 2012! It is that time of the year again; spring is almost here and with the tulips comes Fashion for Paws. This will be my third year participating and I could not be more excited to embark on my fundraising efforts. 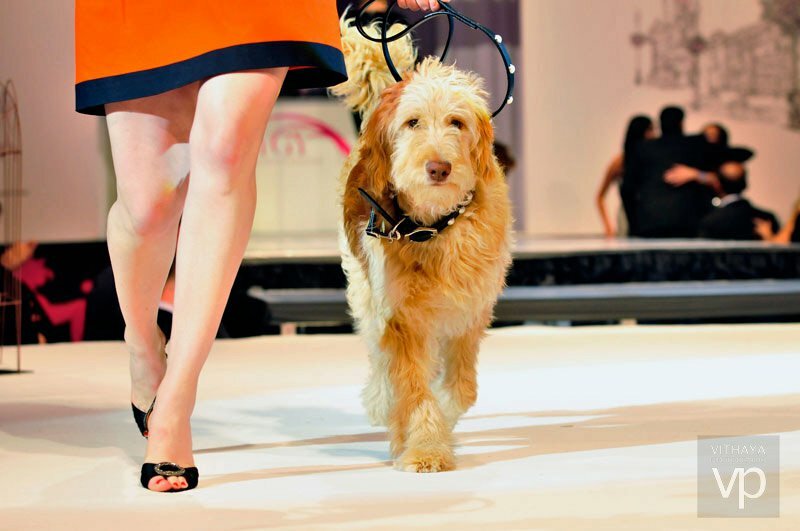 Last year my Labradoodle Frank and I were very proud to walk down the runway after raising more than $18,000 for the Washington Humane Society (WHS). This is a cause near and dear to my heart and I am grateful for the opportunity to give back to an organization that gives so much to our community. WHS provides care to more than 30,000 abused, neglected and abandoned animals every year. They are the only open-access shelter in the District which means that at any time if someone feels they cannot care for their pet WHS will accept them. They take in an average of thirty animals per day. This service alone saves thousands of animals from needless suffering. In addition to the shelters WHS has numerous programs that benefit not just animals but humans as well. Their Humane Education program aims to educate school children about animal abuse to stop the cycle of abuse that so many children grow up with. There is a direct connection between animal cruelty and domestic violence. If we can educate these children to show compassion to animals it is thought that this will translate to other aspects of their life and prevent future violent acts. The dedicated and tireless officers of WHS’s Humane Law Enforcement are available twenty-four hours a day to investigate reports of animal cruelty. They witness horrendous acts against innocent animals that we all prefer not to think about, a cat intentionally set on fire or a dog left to die in a dumpster after extensive bite wounds. These officers subject themselves to witnessing the worst in human behavior and yet they keep at it day after day in order to keep the animals of the District safe. I feel this is truly commendable. These are just a few of the many programs that WHS provides to the animals and people of the District. Without them we would be lost and many innocent animals would pay the price with needless suffering. As someone who has dedicated my life to helping animals I am proud to raise money for this wonderful organization, please consider supporting Frank and me in Fashion for Paws this year. Visit http://support.washhumane.org/goto/frank for more information.